Home / android / article / oppo / smartphone / Filipino take atlease 2 selfie photo per day. Filipino take atlease 2 selfie photo per day. “Selfies offer the opportunities to show facets of yourself, such as the artsy side, the silly side, or the glamorous side,” Rutledge said. In today’s generation having a smartphone and a mobile app like snapchat, Instagram and even facebook makes the selfie popular, not just for the young but also to those who love to take photo. Instagram has over 260M #selfies photo today. An average millennial spends more than an hour/week to snap selfies and may take up to around 25,700 selfies during their lifetime, a 2015 study by Frames Direct and Now Sourcing, showed. Selfie is about continuously rewriting yourself. It's an extension of our natural construction of self. It's about presenting yourself in the best way … like when women put on makeup or men who bodybuild to look a certain way" – Dr. Mariann Hardey. Most of the self-portrait photo came from the Philippines, particular in Makati City as dubbed by Time Magazine as the “Selfie capital of the world”. 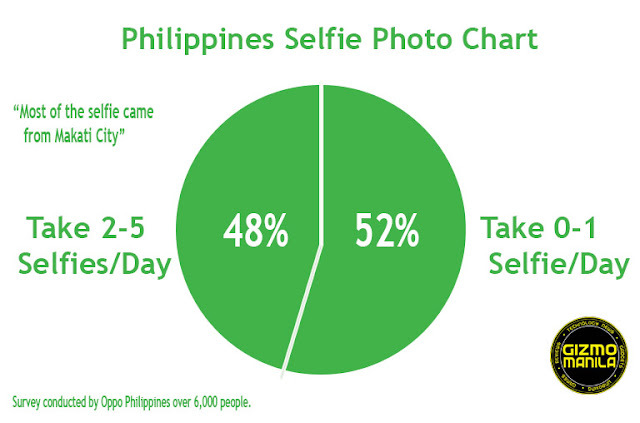 OPPO Philippines recently conducted an online survey among 6,000 Filipinos and found that 48% of Filipino take 2 to 5 selfies a day. Which means every Filipino love to take selfie with their family, friends or with their idols, even with food, on travel or even a memorable moments. Having a great front-facing camera is a great features of a smartphone that everybody loves today. Oppo one of the top global brand offers great smartphone with superb specification and a selfie camera. 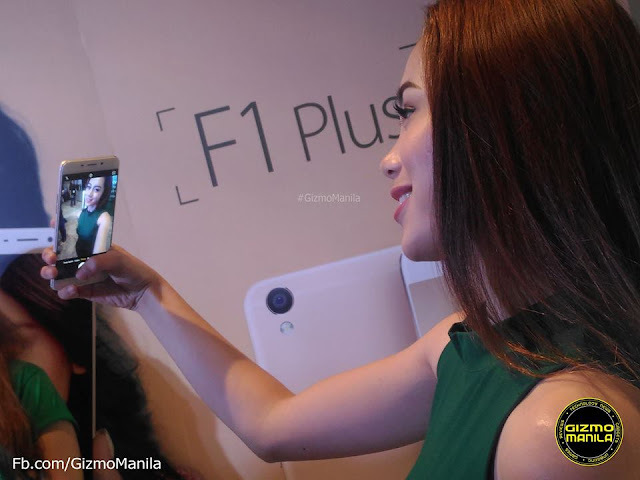 “The Oppo F1 and F1 Plus is a camera-focused smartphones that made taking great photos of themselves easier. Gone are the days when you need to go to a photo studio to have your self-portrait taken by a professional photographer.” – Stephen Cheng. For more Tech News, subscribe and follow Gizmo Manila on Facebook, Twitter and Instagram.